Cluny Croft, Cairngorms National Park. 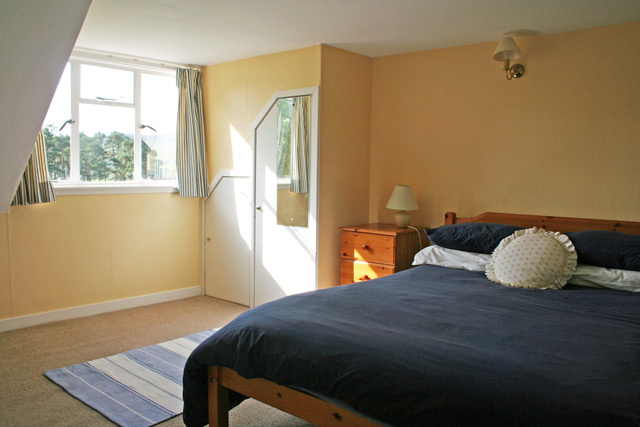 Self catering holiday cottage. From its elevated position Cluny Croft self catering cottage enjoys panoramic views across the upper Spey Valley to the surrounding hills and mountains. This charming cottage provides an ideal holiday base and enjoys some magnificent scenery as it is set within the Cairngorms National Park. The Spey valley offers a perfect base for both the active and those who prefer a more peaceful break. 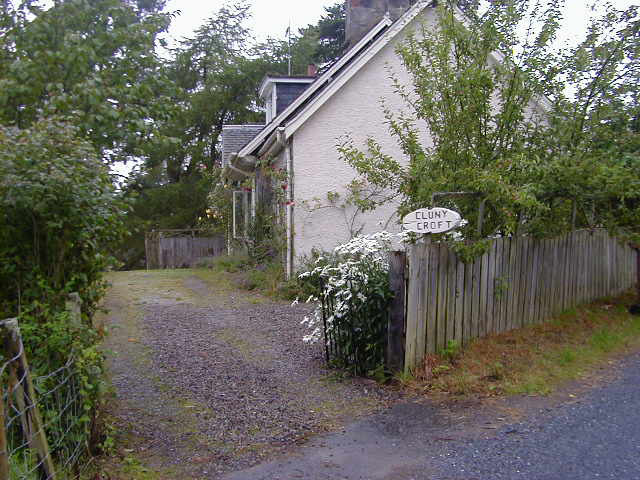 The village of Laggan is located about a mile and a half away and has a small village shop. 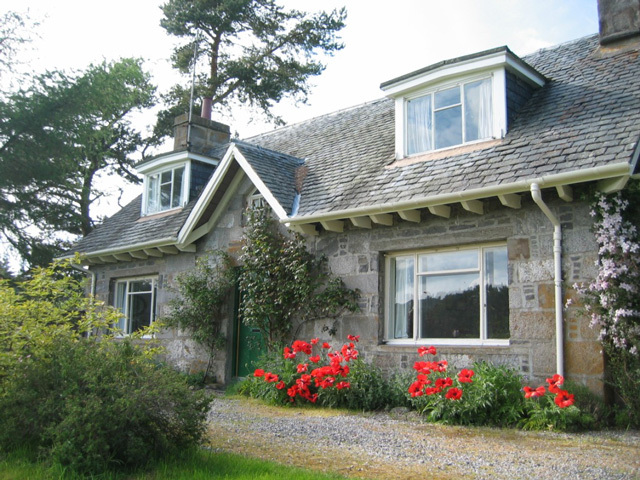 Situated in the Spey valley, in the small hamlet of Balgowan about 6 miles from Newtonmore. This area is part of the Cairngorms National Park and is home to a wide variety of animals – including red deer, pine martens, red squirrels, badgers, wildcats, water vole, and otters. 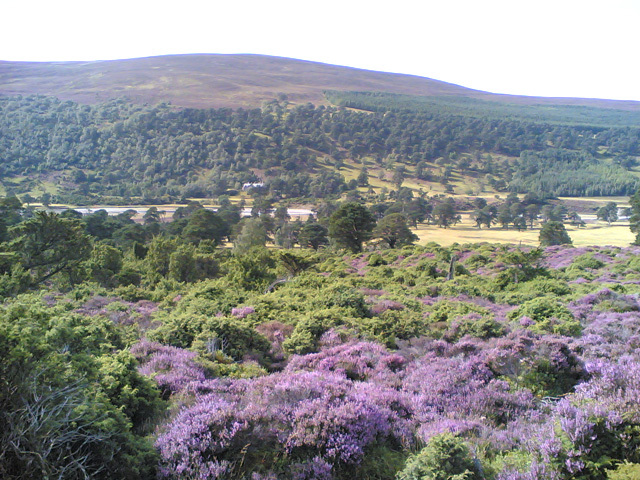 The Spey Valley, now famous as ‘Monarch of the Glen’ country (Ardverikie Estate, Glenbogle House in the BBC production, is 15 minutes drive from Cluny Croft) is renowned for its magnificent scenery and wildlife and offers endless opportunities for visitors to tour the area. There is plenty of opportunity to have an active holiday here. In the winter months skiing can be enjoyed within a 45 minutes drive at either Cairngorms or the Nevis Range (Fort William). Both have excellent facilities including mountain restaurants, ski hire and instruction. Water sports are available on Loch Insh and Loch Morlich, both just a short drive. Canoes, windsurfers and dinghies can be hired. This is an excellent place to spend a family day out with its sandy beaches, picnic areas and restaurants. More great days out for the family can be had at Landmark Adventure Park, the Highland Wildlife Park, the Fun House at Coylumbridge, Strathspey Railway [with Thomas Tank Engine days] and the new leisure pool and flumes at the Aviemore Centre. For the more active Mountain biking is well catered for with a wide variety of cycle routes to test your ability. Laggan Wolftrax, a dedicated mountainbiking facility with café, bike hire and trails graded blue, red and black, is less than 10 minutes drive away. Cluny Croft offers easy access to some of the finest walking and mountaineering country in Scotland within the Cairngorm and the Monadhliadh mountains. Ben Nevis - Britain’s highest mountain, is 30 miles drive. With fishing available on the River Spey and local lochs or a round of golf, you are sure to find plenty to keep you occupied. The Spey Valley is also Malt Whisky country, so a visit to one(or two) of the many distilleries is a must, just make sure you are not the driver! Cluny Croft has been modernised to provide a very comfortable self catering cottage for up to five people, but still retains its traditional character of the croft. 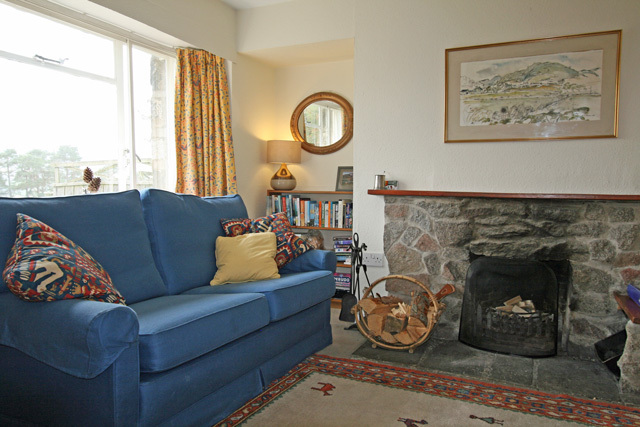 The cosy sitting room has the traditional stone hearth and open fire. Freeview TV, DVD, CD player and radio, iPod dock. 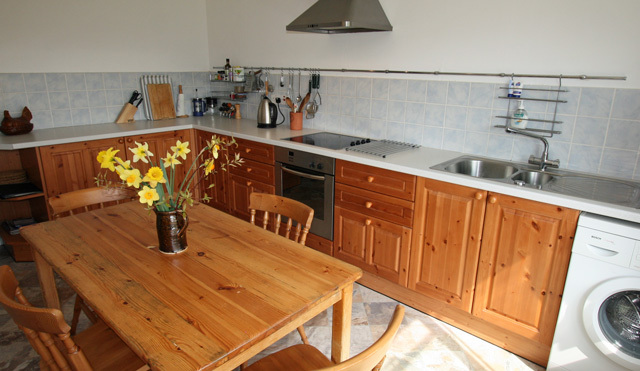 The kitchen is well equipped and has an electric hob, electric fan assisted double oven, washing machine, tumble dryer, fridge/freezer, dishwasher, microwave and all the usual kitchen utensils. Ironing facilities available. Bathroom with bath and electric shower over, wc and whb. Small room with wc and whb. Electricity, gas and fuel for the fire. WiFi access - bring your own laptop. The garden is fenced but it is advised to keep your dog on a lead outside of this, as there is livestock in the vicinity. 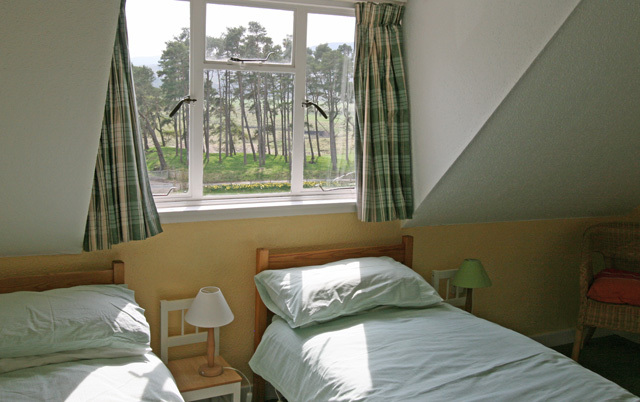 Situated in the Cairngorm National Park. Ideal base for walking, with quiet woodland and open hills in the vicinity.